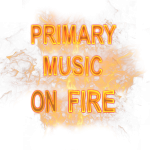 I am delighted to announce that The National Association for Primary Education are the new sponsor for the Education on Fire podcast network. This new collaboration will include a new NAPE podcast being produced by Education on Fire. The National Association for Primary Education (NAPE) brings together everyone who has a concern for the learning of children from birth to 13 years. Members and affiliated schools work to improve education through the Early, Primary and Middle Years. All are welcome as members; Heads, Teachers, Teaching Assistants, Parents, School Governors. Inspectors, Administrators and entire School Communities. Members have an important voice exercised democratically. We influence public opinion and regular meetings are held with government ministers. The association is totally neutral politically. There are meetings of members both locally and nationally. Local associations can be formed. Conferences and workshops are arranged both locally and nationally. The association is administered by an elected National Council meeting termly to review progress and discuss national issues. Detailed administration is delegated to an Executive Committee which reports to the Council. 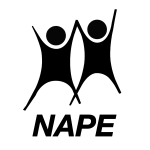 NAPE is a prominent member of the Primary Umbrella Group which brings together all organisations working in the primary sector including subject associations and unions. This is a new and rapidly developing field of work which is facilitating cooperation and partnership. All aspects of education are experienced by children in their primary schools and we have strong links with subject associations.We often engage in cooperative ventures with them. The National Association for Primary Education speaks for young children and all who live and work with them.